This November marks the launch of the #noVANber campaign, which calls for more action on van crime, including tougher sentences for criminals and new regulations for reselling tools. Since 2015, UK police forces have recorded over 64,000 cases of tool theft from vans across the country with undoubtedly many more unreported. With van theft an ever-present danger, having your tools stolen can be catastrophic to a heating engineer, whether a sole trader or employee. There are several ways you can enhance the standard locks that come with your van. Deadlocks are entirely separate to the existing locking mechanism on a van and can only be locked or unlocked when manually turned with a key. Deadlocks provide added security for drivers who can be relied upon to lock the doors when needed. 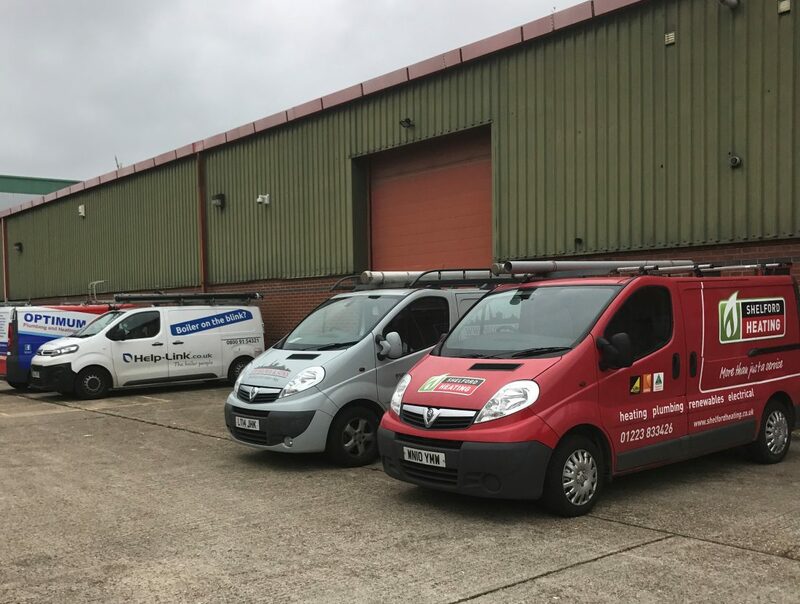 For heating engineers that go back and forth to their vans throughout the day, Slamlocks can be a great alternative to manual Deadlocks. Slamlocks are integrated with the existing locking mechanism on your van, locking automatically as the van door is slammed shut. For a quick fix, installing lock protection plates on all van door handles is a cheap and easy way to provide extra security and acts as a visual deterrent to thieves. It’s always best to take expensive tools and equipment out of your van at night, but sometimes when out and about on a job it isn’t possible. For those occasions, secure tool storage systems can greatly deter would-be thieves. There are many different van storage boxes on the market, ranging from tiered drawer systems all the way to weatherproof boxes designed for the back of a pick-up truck! The catalytic converter is an exhaust emission control device which is located beneath your van, in the exhaust manifold. It contains various precious metals, including platinum, making it ideal for thieves to steal and sell for scrap. Thankfully, you can purchase clamps which are bolted to the van chassis, fully covering the catalytic converter and making it very difficult for thieves to remove in a hurry. Not only are windows a weak target, they also allow thieves to see exactly what is in your van. Using window tints is a great way to deter criminals. For added security, installing steel window grilles will make your van difficult to break into. Many dashcams now capture footage at night, even when your engine is turned off. This makes them a cost-effective tool to monitor any movement, tool theft or damages to your van. For best results, set up two dashcams that can record both the inside and outside of the vehicle. It is also worth looking into silent alarms too. Although expensive, these devices will silently alert you via a phone call when there is any unusual activity in and around your van. Unfortunately, even the most security-conscious van owner can still fall victim to tool theft, so it’s vital that you insure your tools. Make sure to tell your insurer about any security measures your van has in place already, as this could reduce your premium. Along with having adequate insurance, it is also necessary to keep an up to date inventory of all the tools and valuable items your van carries. You should also keep a log of receipts and take regular pictures of the inside of your van, in case you need to make an insurance claim in the future. By following these steps, you can ensure that your van is as secure as possible and help to ward off the perpetrators of van crime, which is a growing problem. Throughout November you can join in the conversation about van crime, and show your support for tougher punishment, by signing the official petition here and using the #NoVANber hashtag on social media.